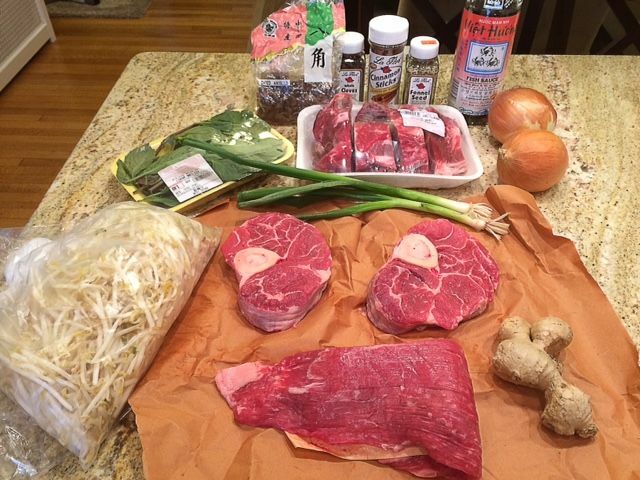 The unique flavor and pungent aroma of a beef pho is something you would not forget after you tried it. 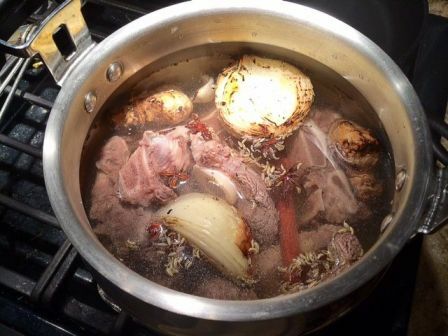 The star of the show is the broth, which does take some time because bringing out the flavor from the beef bones takes time. However, active preparation time is actually not that much. Once the broth is on the stove and simmering, you just need to check up on it periodically! Place a wire cooling rack or grill grate directly over the flame of a gas burner set on high. Place onions and ginger on top and cook, turning occasionally, until deeply blackened on all sides, about 10 minutes total. Peel and discard the blackened skins of the ginger and onions. 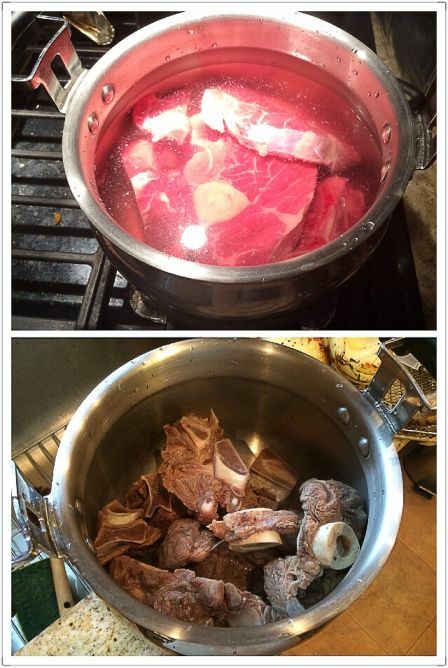 Add beef shank and leg bone,in a large stockpot. Cover with cool water. Bring to a boil over high heat. Boil for 10 minutes, then dump water and meat into sink. When cool enough to handle, rinse parts under cool running tap water and return them to the pot. Cover with cool water. 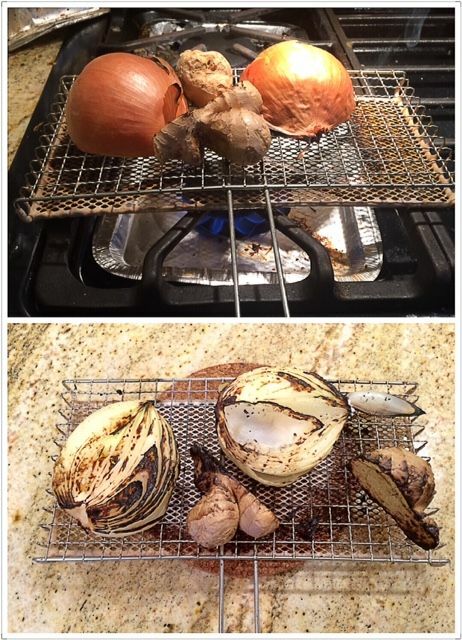 Add charred onions, ginger, star anise, cinnamon, fennel seeds, cloves, fish sauce, sugar, and 1 tablespoon salt. Bring to a boil over high heat, reduce to a bare simmer, and cook for at least 3 hours, up to 6 hours. Pick out the meat from the beef shin, which should have fallen off of the bone at this point. 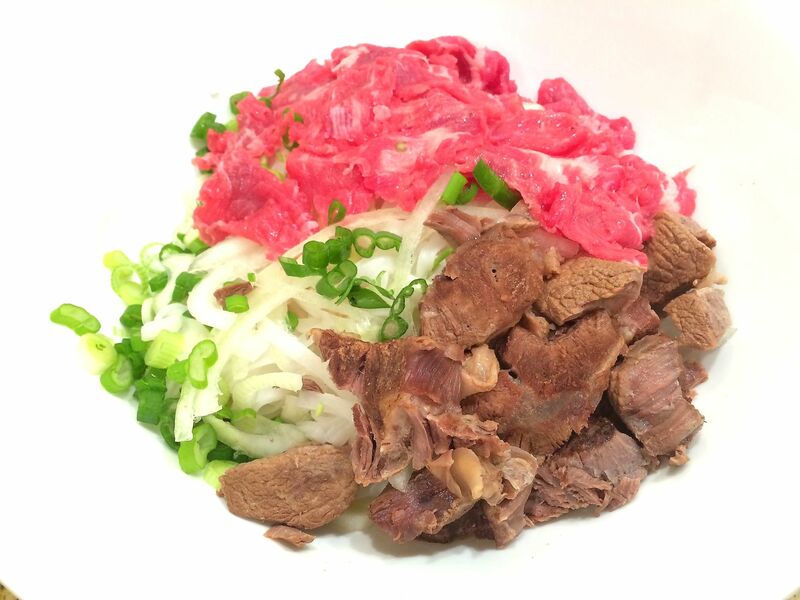 When cool enough to handle, roughly chop up the meat. Carefully skim fat off of surface of broth and discard. Season broth to taste with additional fish sauce, salt, and/or sugar. It should be highly seasoned. 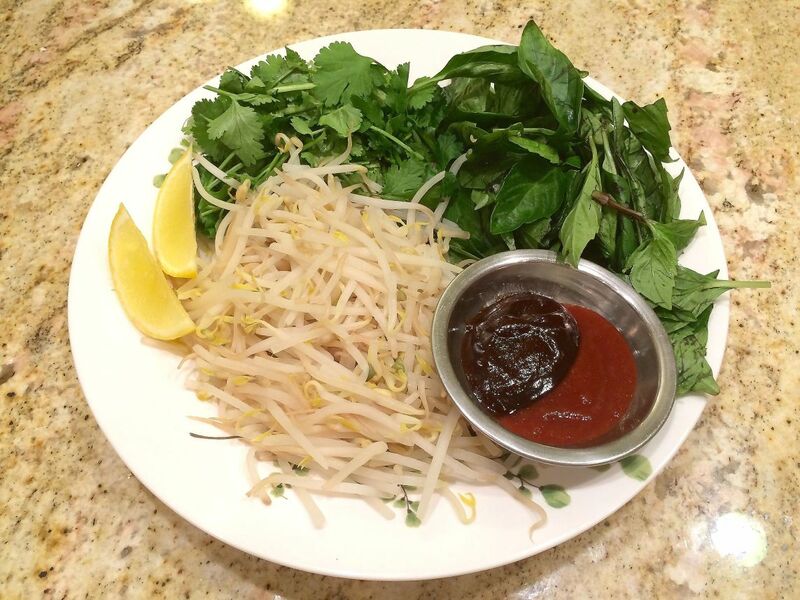 Cook pho noodle according to the package instructions. 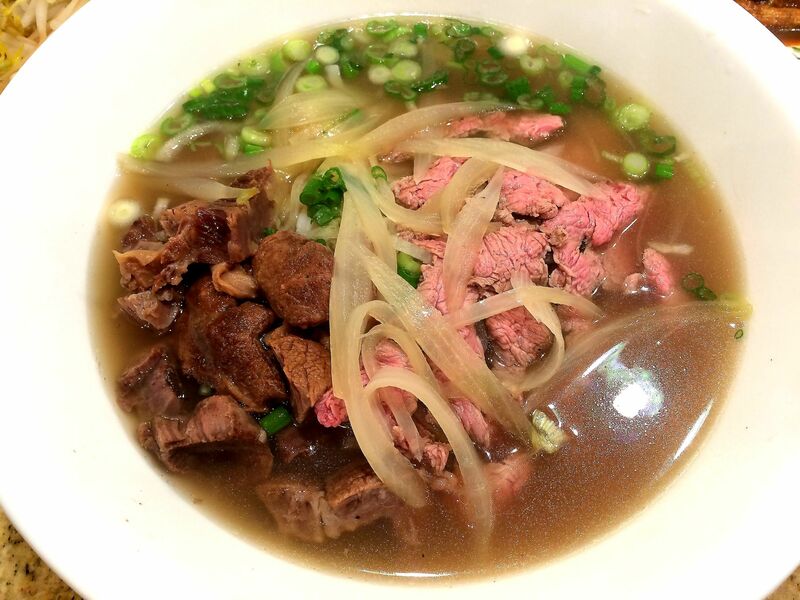 Add cooked beef shank meat from the soup, slices of raw flank steak, basil, sliced onion, lemon/lime, cilantro, green onions and cooked bean sprouts as you like. Pour hot boiling broth on the bowl to serve. Serve with sriracha and hoisin sauce.